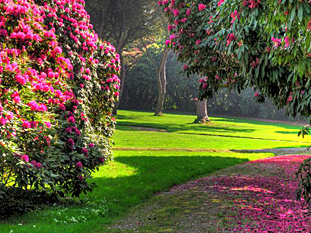 The garden at Tregothnan, covers approximately 50 acres. Recent developments include reclamation of a sunken garden, to be planted with South American plants, as well as plants from China. Tregothnan Garden has a truly international feel. Situated at the head of the Fal Estuary, in the heart of Cornwall, close to the historic city of Truro, Tregothnan has been the home of the Boscawen family since 1300 and the garden surrounding this historic home has been of lasting interest to successive generations. 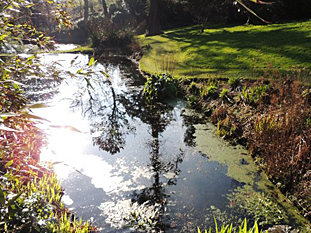 As a private botanic garden and arboretum, Tregothnan is unequalled offering scale, diversity, rare collections, sweeping vistas and secluded groves. Although the Tregothnan estate is not open to the public you may, by prior appointment, visit this amazing garden and arboretum. Our Head Gardener Neil Bennett, or one of his team, acts as your guide, discussing the fascinating history of the garden, its impressive plant collections, and exciting plans for the future. Experience our unique tea plantation up close as you wander through the magical Himalayan Valley and discover a little piece of Darjeeling right here in Cornwall. 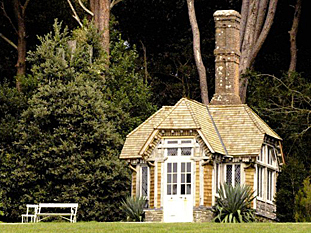 Your exclusive tour of the garden takes approximately two and half hours, finishing with a cream tea in the Edwardian summer house. This is a special experience for anyone, not just garden lovers, and makes a fabulous gift for a special birthday, anniversary or wedding. Our guests are always spellbound by the scale and diversity of the visit as well as the passion of one family for this incredible living collection.